Trainers’ Forum (TsF) is a growing community of trainers from all parts of Europe. Meet, network, learn, exchange knowledge and combine it during facilitated processes to reach the quality of training we have never seen before. Meet the organizer of TsF 2019! 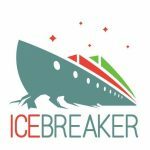 This year, TsF is being organized by the Romanian NGO, Icebreaker! Lets change the world of training together!